This actives the kill zone. 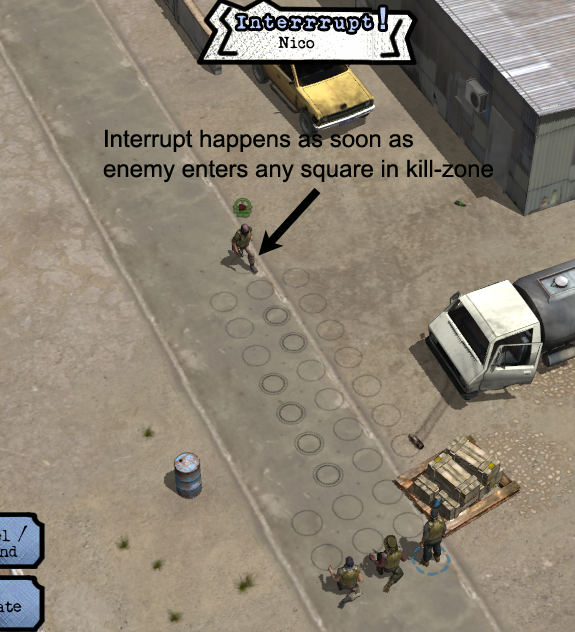 If an enemy enters this zone and interrupt triggers immediately. This is unlike the previous version where the enemy had to take several steps before it triggered. 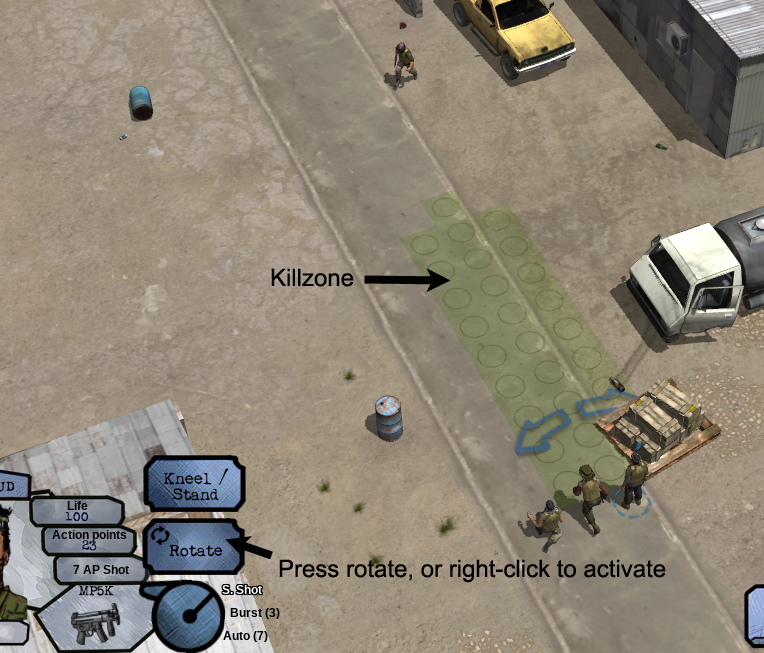 If several soldiers are in overwatch mode their kill-zones can overlap. Squares that are watched by several soldiers will be shown with several inner circles. Because the mechanism is much simpler, it's much easier for the player to see why an interrupt succeeded, or failed. 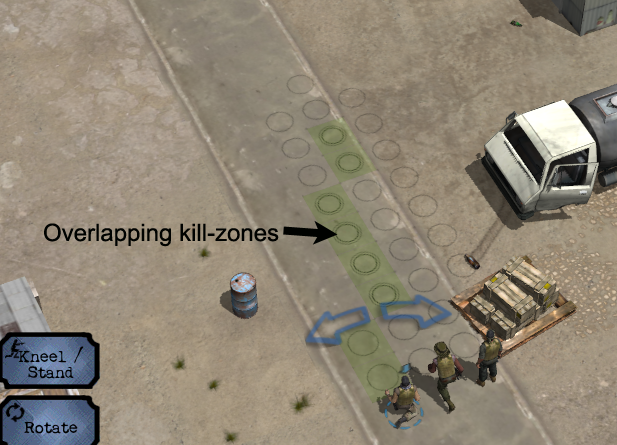 Soldiers with low interrupt skill level have a very narrow kill-zone. Therefore, overwatch should be only used when the player is sure where the enemy will appear (at an exit of a doorway, for example). I don't like the interrupt mechanism in other games where there's no feedback and the player has no idea why the interrupt failed.